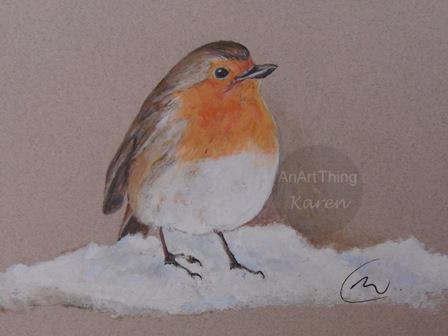 As it’s nearly Christmas, here is a quick painting of a little robin. I had originally used coloured pencils but was not happy with it, so as I had some paint left in my acrylic ‘StayWet’ palette, decided to use those on top. Thank you to Gary Jones from Paint My Photo for the original photo.